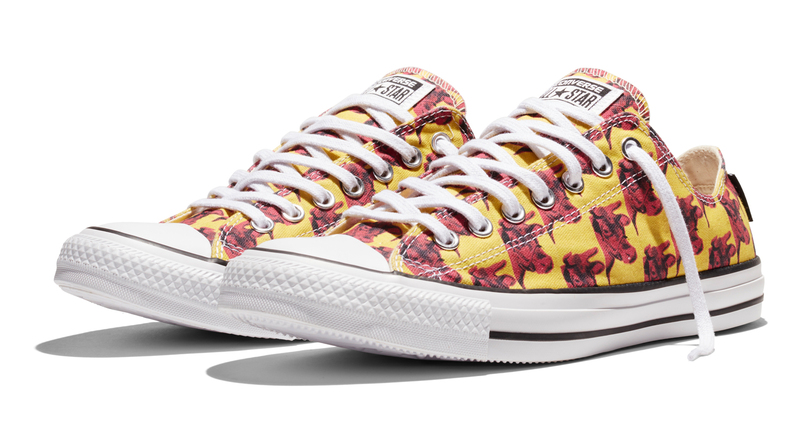 Paying tribute to the Pop Art icon. 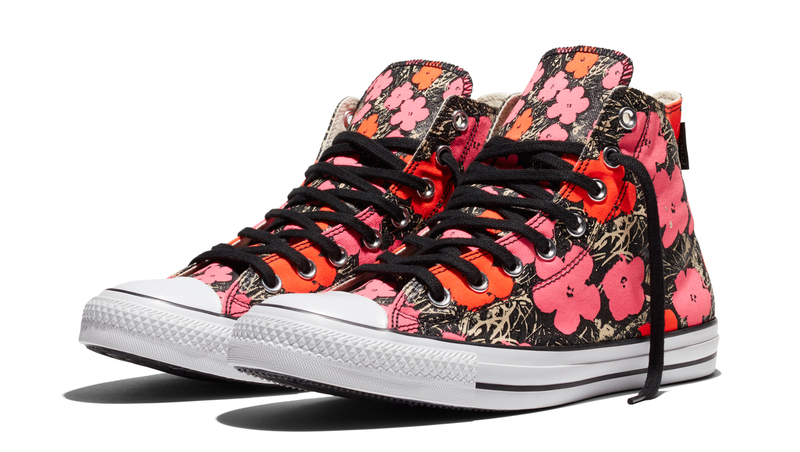 Converse pulls from the work of the late Andy Warhol for this, its third collection produced in collaboration with the The Andy Warhol Foundation. 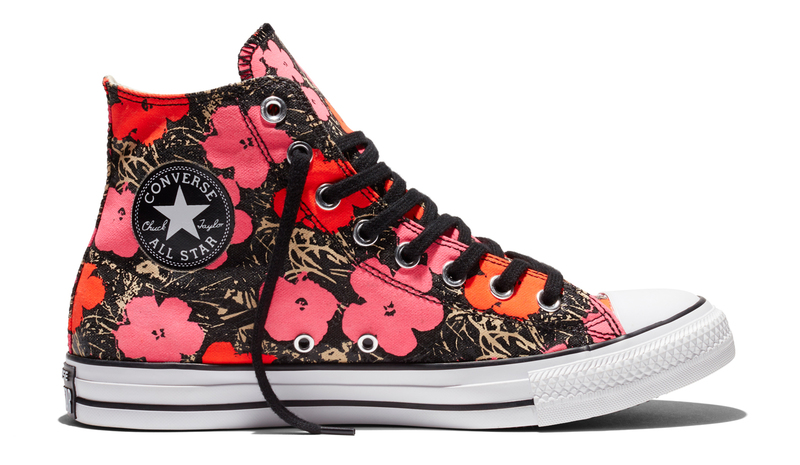 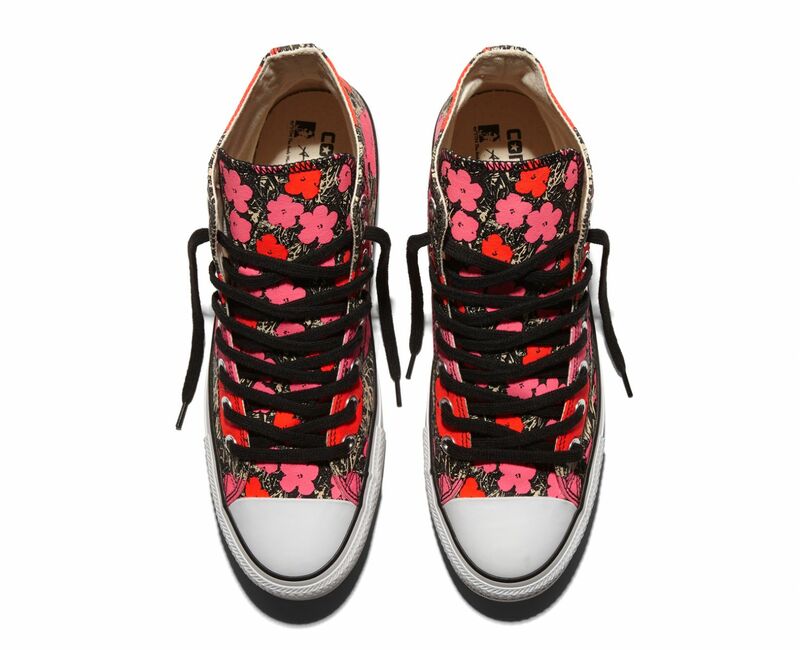 The shoes in the group, Converse Chuck Taylor All-Stars in High and Low form, use Warhol's cow and flower prints in typically vibrant Pop Art colors. 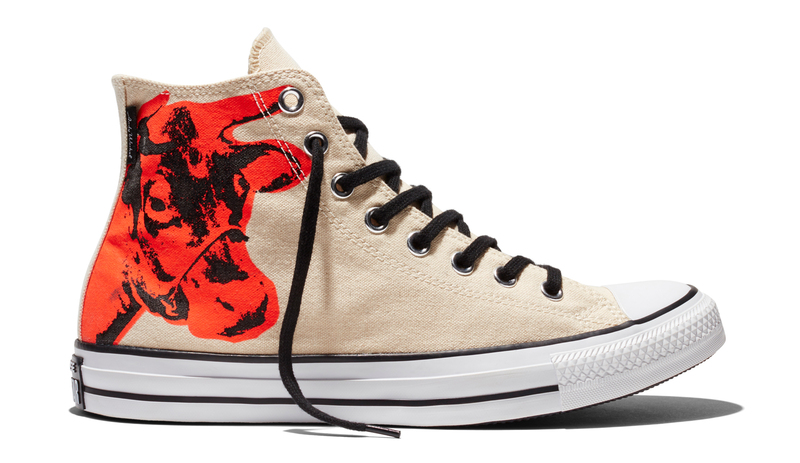 Unseen in these images are the hidden glow in the dark details on each shoe that reference Warhol's black light paintings. 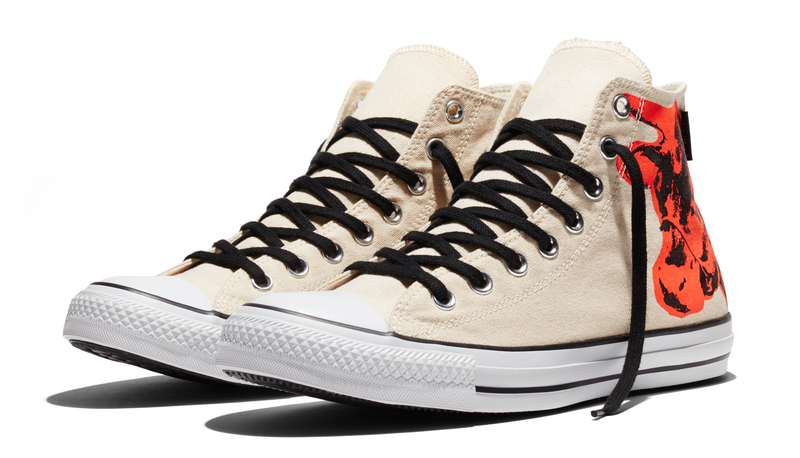 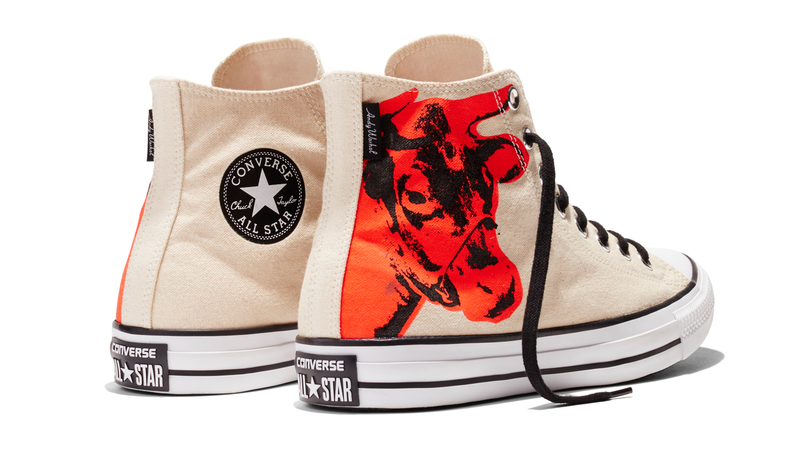 Matching graphic tees will release alongside these Andy Warhol Converse. 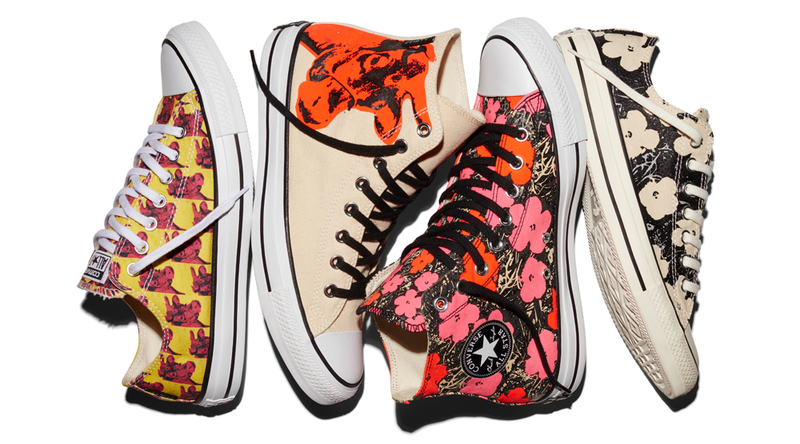 The Converse x Andy Warhol collection pictured here launches today at global Converse retailers and via Converse online.